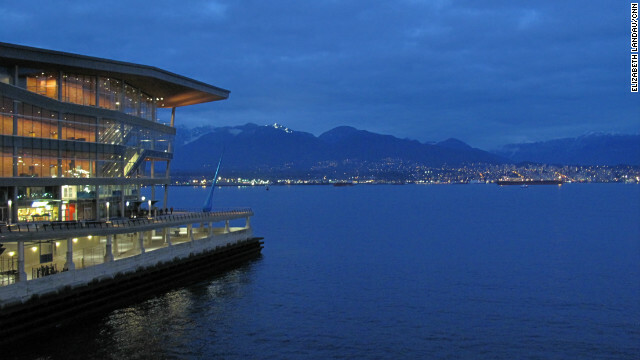 The AAAS meeting took place at the Vancouver Convention Center. Yep, that's the view. Yep, I want to go back. Editor's note: Elizabeth Landau (@lizlandau) is a writer/producer for CNN.com. Meat from stem cells? Singing without your vocal chords? I'm still trying to mentally process all of the cool research that I learned about at the American Association for the Advancement of Science annual meeting. Last weekend, @AAASMeetings drew about 8,000 scientists, journalists, educators, policymakers and communicators came from all over the world to idyllic Vancouver, British Columbia. For someone who misses the knowledge-thirst-quenching aspects of college, it's pretty blissful. You choose between dozens of subjects to learn about during the day, and then you get to hang out with fascinating people in the evenings. And you're tweeting the highlights to thousands of people, some of whom will want to meet up with you later. Of course, you'd better get those tweets right, or you'll get a #FAIL. been to british colombia I MUST SAY VERY ROMANTIC!